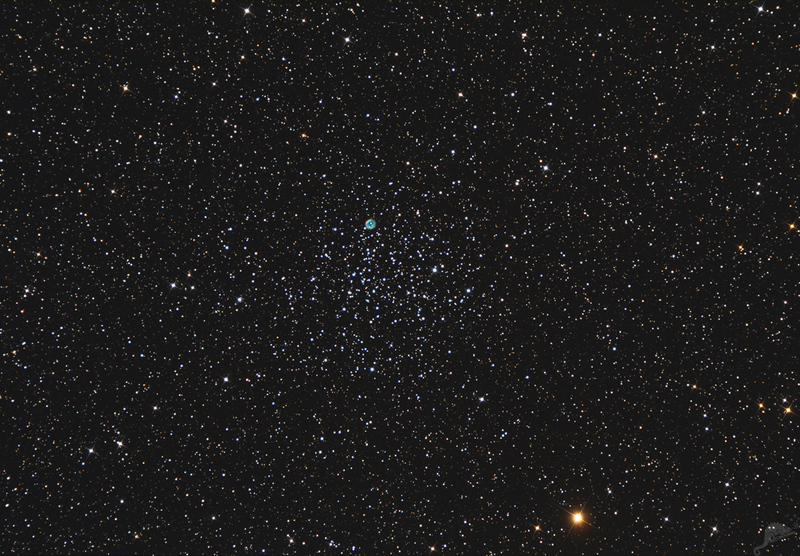 The open star cluster M 46 is located in the constellation Puppis at a distance of approximately 5500 light years. 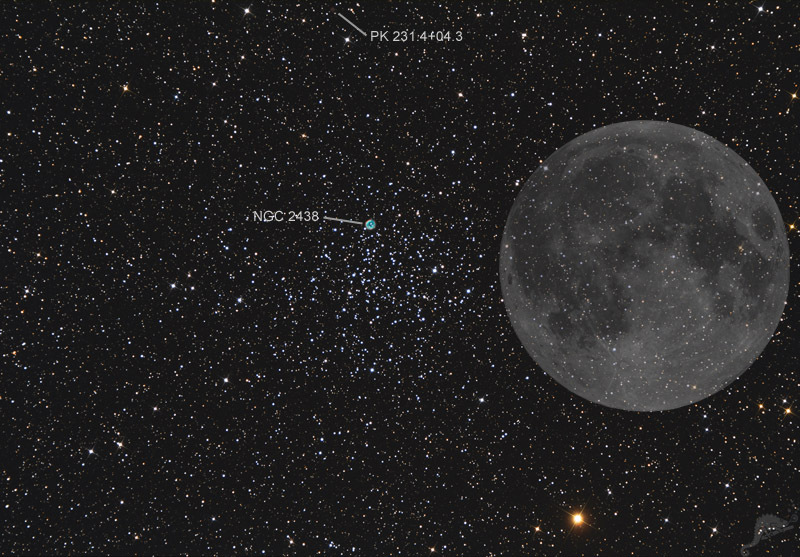 The apparent diameter in the sky is about 30 arcminutes, comparable to the diameter of the Moon. The cluster contains about 500 stars and the age was determined to 300 million years. 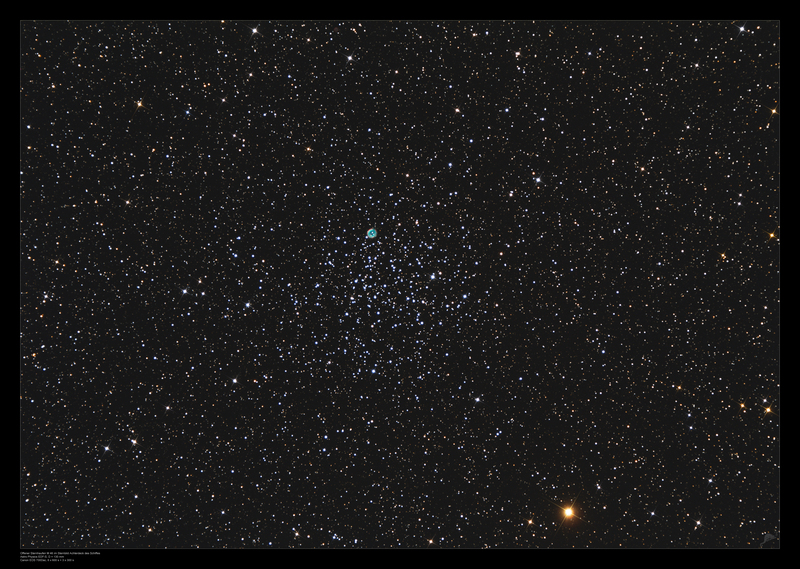 Th egreenish ring at the northern edge of M46 is the planetary nebula NGC 2438. The overlay of cluster and nebula is a geometric effect because the distance to NGC 2438 is just about 3000 light years. At the upper edge of the image there is another, weaker planetary nebula named PK 231.4 + 04.3. 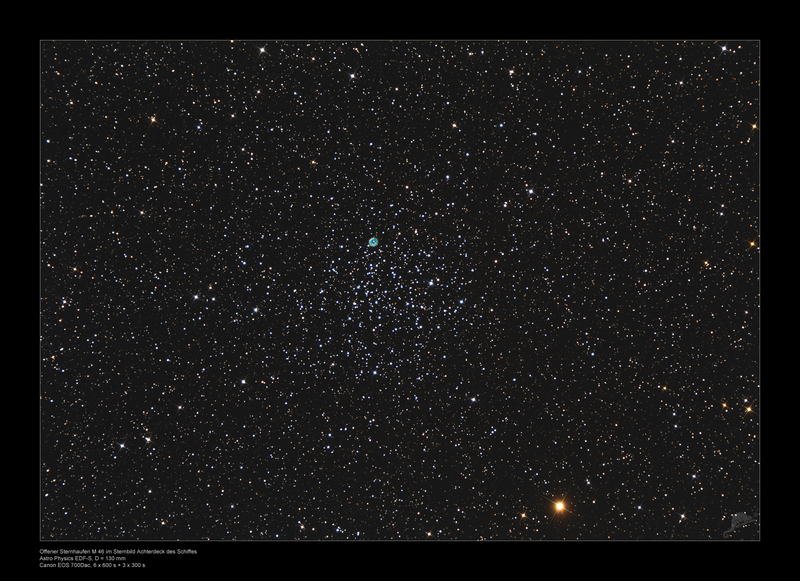 M 46 forms with the open star cluster M 47 a pretty pair in the sky. A two-field mosaic can be found here. 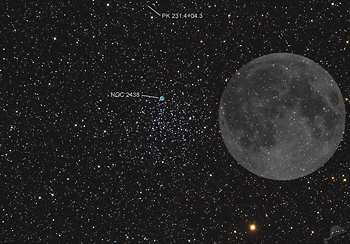 The image left shows a comparison to the full moon. Click here or the thumbnail at left to load a larger image..